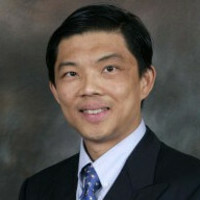 Mr. Erman Tan is the Chief Executive Officer of Asia Polyurethane Mfg Pte Ltd (APU). As a veteran of the PU industry, Erman possesses in-depth industry knowledge which he shares passionately through various platforms. He has been chairing the Inland Revenue Authority of Singapore Taxpayer Feedback Panel (TFP)-Mandarin Dialogue since 2012. He is currently the President of the Singapore Human Resources Institute (SHRI), Treasurer of the Singapore Enterprise 50 Club (E50) and a committee member of the Tripartite Alliance for Fair & Progressive Employment Practices (TAFEP) in Singapore.